A warm Scottish welcome awaits you at the Rowans Bed and Breakfast. 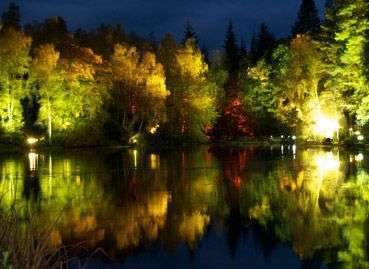 Sitting in its own grounds just a short walk from the Festival Theatre and the shops and restuarants of the town centre, the Rowans Bed and Breakfast, Pitlochry is the ideal base for a relaxing break in this beautiful area. A magnificent country house set in secluded woodland overlooking the Tay Valley. Cuil-an-Duin has three beautifully appointed bedrooms available for bed and breakfast and separate self-catering facilities are available in the east wing. Ideally situated for a relaxing break surrounded by nature. An ideal base to explore the local area. At Fir Trees Bed & Breakfast you will receive a warm, friendly welcome. Situated less than a 10 minute walk from the Town Centre, our lovely Victorian property enjoys beautiful views across the Tummel valley. We offer en-suite accommodation with TV, Refreshment Tray, hairdryer, Wi-Fi and private parking. A unique luxury establishment in the lovely village of East Haugh. The modern house is set in beautiful south-facing gardens and offers all modern conveniences with comfortable accommodation, en-suite facilities, private parking and easy access to a wide range of tourist attractions, places of interest and leisure activities. Surrounded by beautiful gardens, Silverhowe is a bungalow on the edge of town with ample off road parking. The 4 bedrooms are all ensuite with free WiFi. Bikers, cyclists and walkers have drying facilities, garage space available. Your hosts provide a warm welcome and can collect you from Pitlochry station. 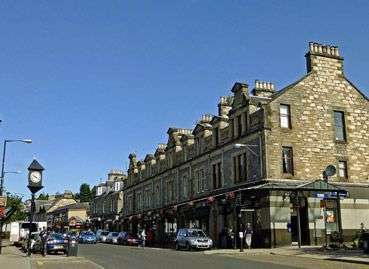 Modern bed and breakfast accommodation located in a quiet location in Pitlochry. Two ground floor, en-suite bedrooms as either super-kings or twin bedded rooms. Tea and coffee making facilities, flat screen TV and Wi-Fi. Close to the Golf course, but only 10 minutes walk into the town centre. Dunmurray Lodge offers a relaxed and friendly retreat - somewhere where you can unwind following a day exploring beautiful Perthshire. On your arrival at the house you will receive a warm welcome. Your comfort is our first priority and our excellent breakfast will set you up for the day. Roseburn enjoys a quiet but central location with ample off street parking. 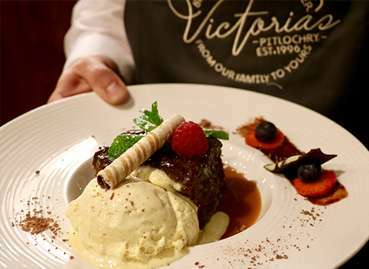 We are proud to offer a relaxed, personalised service and our guests enjoy a genuine welcome, delicious home cooking and modern comforts in a traditional Victorian Villa. Free WiFi, storage and drying facilities available. The Hayloft has been newly converted into a peaceful, hideaway, boutique Bed and Breakfast, nestled up a hill within the Cairngorms National Park and only a ten minute drive from Pitlochry. 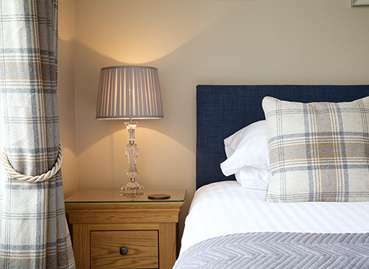 Northlands Bed & Breakfast, situated in the conservation area of Pitlochry, presents all the amenities expected of a deluxe bed and breakfast. Luxurious accommodation, delicious breakfast and friendly, unobtrusive hospitality in a quiet, central location make Northlands the perfect choice to enjoy your visit to this wonderful part of Scotland. An ideal base to discover the stunning Perthshire Highlands. Magnificent views all year from the large garden and patio. 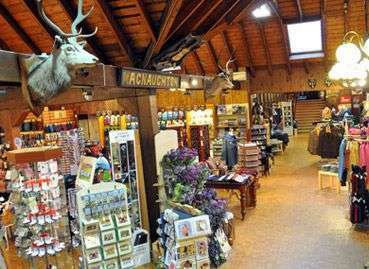 Golf, fishing, cycling/walking routes, bungee jumping, white water rafting; all nearby. Whisky distilleries, castles, lochs and glens are all within a short distance. A warm welcome and splendid breakfast awaits! 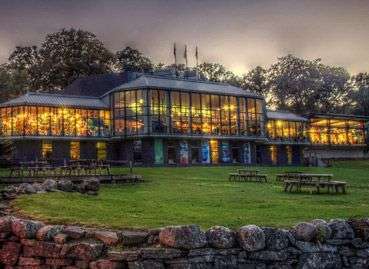 Situated in a beautiful, peaceful location by the river tummel, our family friendly B&B is a few minutes walk from Pitlochry Festival Theatre and town centre. With high quality en suite rooms - 1 double and 1 superking/twin - we are ideally situated for fishing, walking, shops and restaurants. 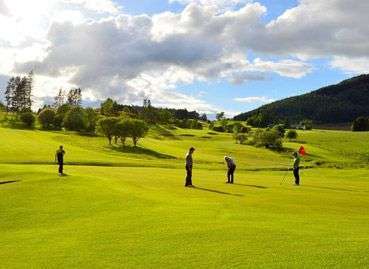 Bruach Mhor sits in a wonderfully high south facing position overlooking Pitlochry. Newly renovated with large rooms all enjoying triple aspect windows with views of the surrounding countryside. A warm welcome awaits you at Bruach Mhor! We are delighted to welcome guests from all around the world to enjoy a comfortable and informal stay. Situated down a short lane, this traditional style stone cottage was built in 1886. A convenient 2 minute walk from the railway station, bus station, main street and shops. Modern luxurious Guest House situated in the Hamlet of East Haugh 2 miles from Pitlochry. We offer five bed and breakfast rooms. three double/twin en-suite and two singles sharing a bathroom. Situated in a quiet road we are only a five-minute walk away from the town centre. We offer free onsite car parking for guests and have ample secure storage space for bicycles.